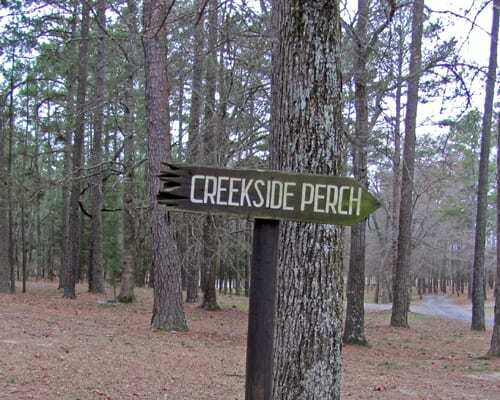 Creekside Cabin is located on a 100ft bluff above the aquamarine Eagle Creek. Behind this awesome cabin is a raised area of rocks across the creek which causes the sounds of rapids as the water runs over them. Our guest love the relaxing sound so much that we added a screen door on the covered back porch so they could here it within the cabin. The cabin also has another deck in the back which entertains a hot tub for two as well as two comfortable chairs and table.